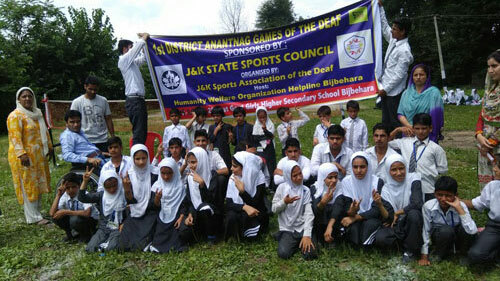 On 25th of July 2017 1st District Anantnag, two days Sports festival for the Deaf children by Humanity Welfare Organisation HELPLIne NGO, in collaboration with the J&K Sports Association for the Deaf J&K. The programmme was sponsored by the JK Sports Council. 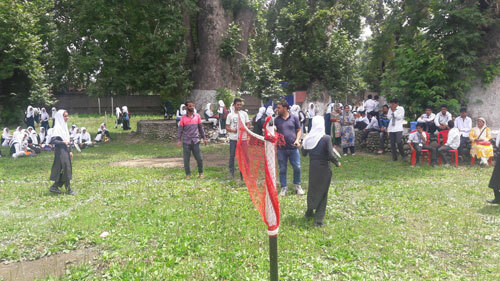 Around 35 children with speech and hearing disabilities from various government schools and Zaiba Aapa Institute of Inclusive Education Bijbehara participated in chess, Badminton, Race, High Jump & long Jump and Tug of war. Mr. Manzoor Ahmad Dar Physical Education Master of the Institute was the overall supervisor for the programme. While watching all the events and active participation of children with deafness Mr. Manzoor Ahmad declared the deaf students as the active but honest sports personals without prejudice. The little angels have full attention towards sports activities and take care of each other. He added. 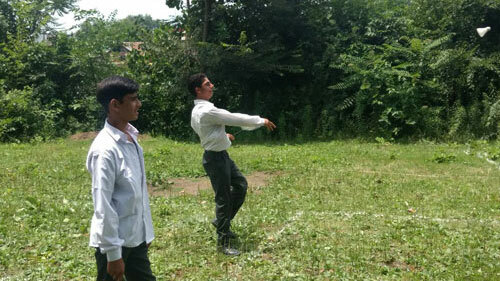 He appealed Sports authorities to provide greater platform for these students. They will perform more and reach the zenith of the popularity. 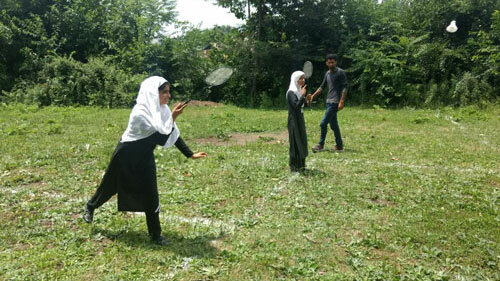 Ms Gulshan Secretary J&k Association for Deaf Sports was the referee for games. She along-with Rehana the Member of association declared the winners. The Association members lauded the honest efforts of the Humanity Welfare Organisation HELPLine for taking efforts to reach the deaf students and provide them opportunities to participate in sports activities. Talking on the occasion Javed Ahmad Tak chairperson Humanity welfare organization Helpline a non-governmental organization known for the advocacy of Disability rights in J&K state and operational from Bijbehara Town of district Anantnag said that the motive behind organizing these programmes is to ensure overall development of the children with disabilities. Such programmes create awareness among masses about the children with disabilities, Tak added. While speaking to the audience of students of Government Higher Secondary school Bijbehara, javed gave lesson of Sign language alphabets. He took the role of interpreter between a deaf girl and a student of the hosting institution. Thereafter he motivated students to priortoise "know" the deaf and dumb students than "NO" to them. The students of the institution agreed that we earlier avoided such children in our areas but now we will go for friendship with these students. Even after conclusion of the programme the students of the institution were playing with hands remembering the sign language alphabets. They are very intelligent and best sports persons, students of Higher Secondary school agreed. 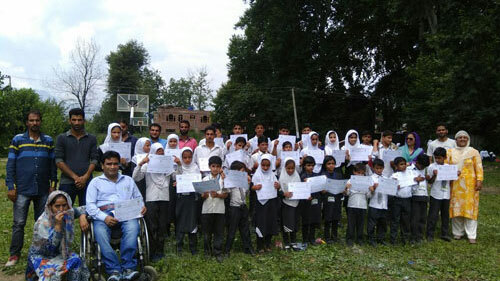 Javed Ahmad Tak in the concluding remarks thanked Principal Government Girls Model Higher secondary school Bijbehara for giving time and space for the children with disabilities. Mr. Abid Hussain Hakeem teacher Higher Secondary School for Girls Bijbehara gave vote of thanks. He thanked the organizing organization and students for being in the institution and playing the game with confidence and concentration. Lions team defeated the Tigers team in Tug of war. 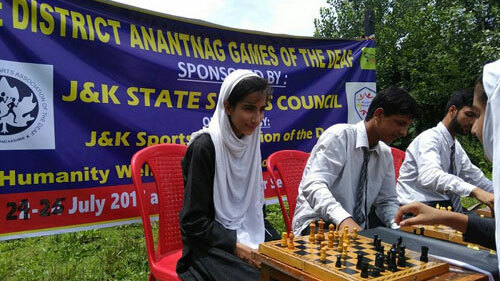 Anamullah from Larkipora won under 19 chess. The other position holders include Aieman Jan, Shakir Ahmad, Basit Nazeer, Danish Ahmad, Mohammad Ahsaan and Mehraan Syed all students from Zaiba Aapa Institute. Sub Divisional Police officer - SDPO Bijbehara Mr. Tanveer Ahmad was the Chief Guest on the occasion. He distributed the medals and certificates among winners. After distributing prizes SDPO assured that Anantnag Police is going to develop long term support system for children with disabilities through Zaiba Aapa Institute Bijbehara, run under the patronage of Humanity Welfare Organisation HELPline Bijbehara. He applauded the work of Organisors and announced sponsorship for picnic of the children and staff of Zaiba Aapa Institute. We are ready to show practical police station, its working etc to mature children with disabilities, he added. General Secretary All J&K Sports Association for the Deaf Mr. Mohammad Saleem gave Vote of thanks. He thanked Humanity Welfare organization HELPline Organising body, Staff of Zaiba Aapa, Principal Government Girls Model Higher Secondary School Bijbehara for providing space and SDPO Bijbehara for giving time for the programme. He announced more sports activities will be organized in future and the best players will be given place in State level teams and thereafter National level and finally in Olympic trials.